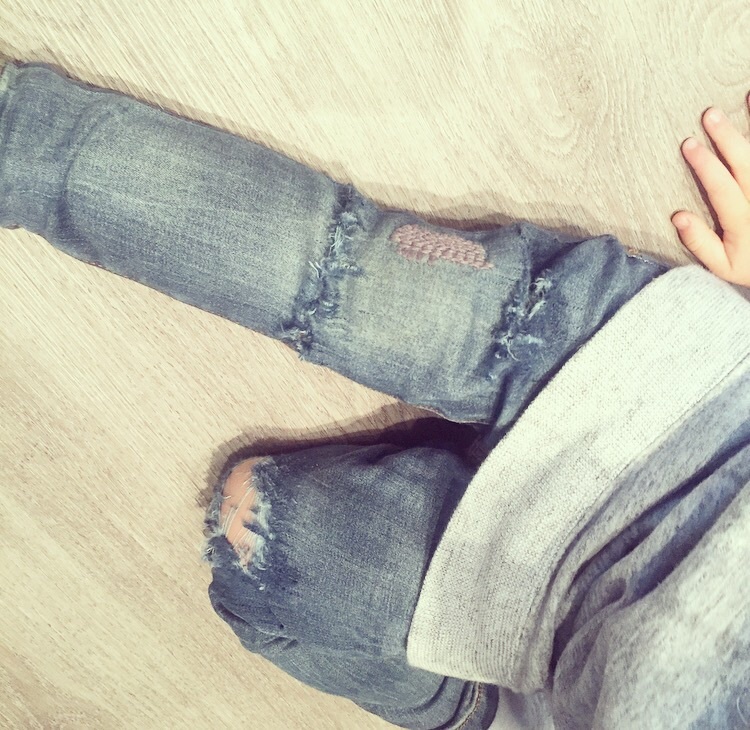 Distressed, tattered, warn denim is totally in! 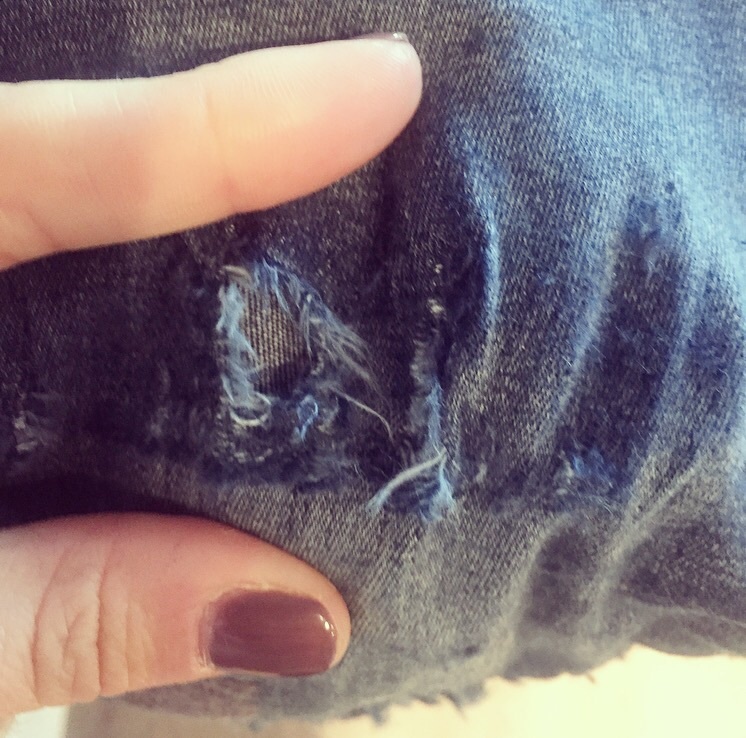 The thing that's perfect about this is, that once your kiddos get holes in their knees, you can just go to town on their denim pants and make them look extra stylish. Even if they haven't warn through their pants, buy a pair of skinny jeans (Zara Kids is my go-to for these) and try the easy steps below. The great news is that there really isn't any "screwing up" in this process. No matter how you do it, they will look distressed. 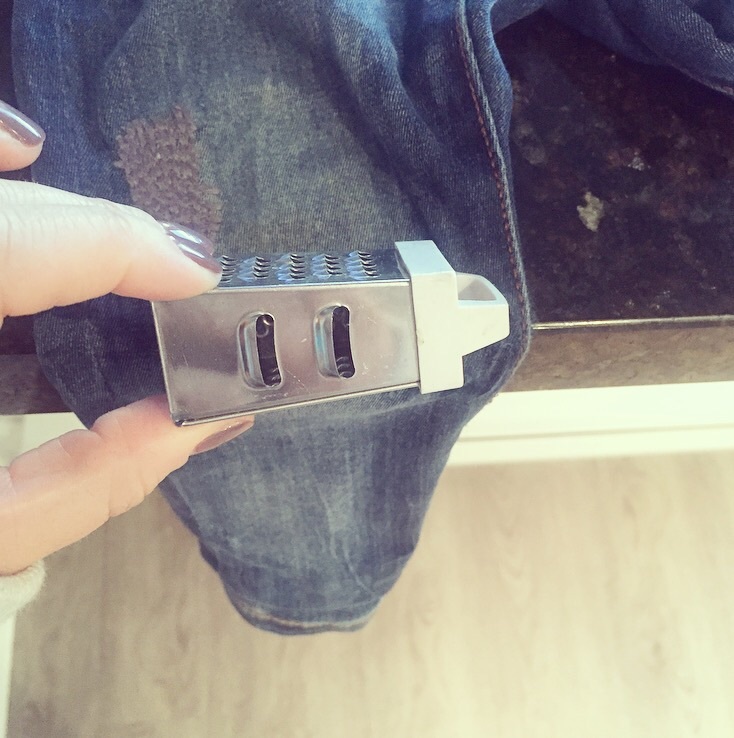 A cheese grater - preferably a small one, which is much easier to use on small denim pants. If you only have a larger one, it will work too, but it may be a bit more tricky. 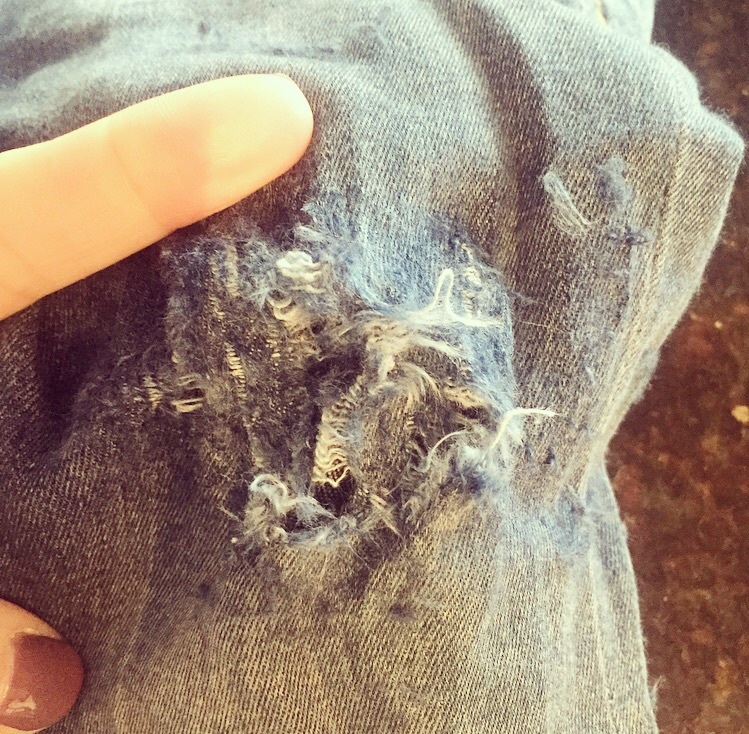 A pair of denim pants. Ones pictured below are from Zara Kids (my absolute fav for skinny jeans). About 15 spare minutes. Yup, that's all! Step 1: Place your denim pants on a hard surface. 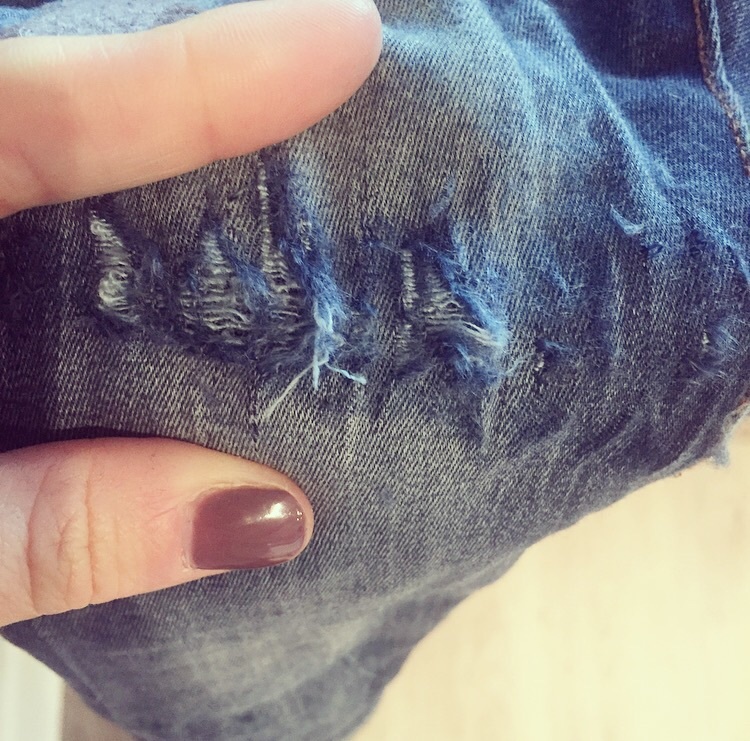 You'll find it easier to "scrape" your denim on the edge of a counter (as shown below). 2. I mostly used the side with the smallest holes and I moved fairly quickly in a right to left motion. You should see visible results almost immediately. 3. As I move the grater back from side to side, I pause intermittently to pull apart the denim in the opposite direction (up and down). 4. Continue left to right motion and also continue to stretch and pull the denim from the above and below your tattered area. 5. 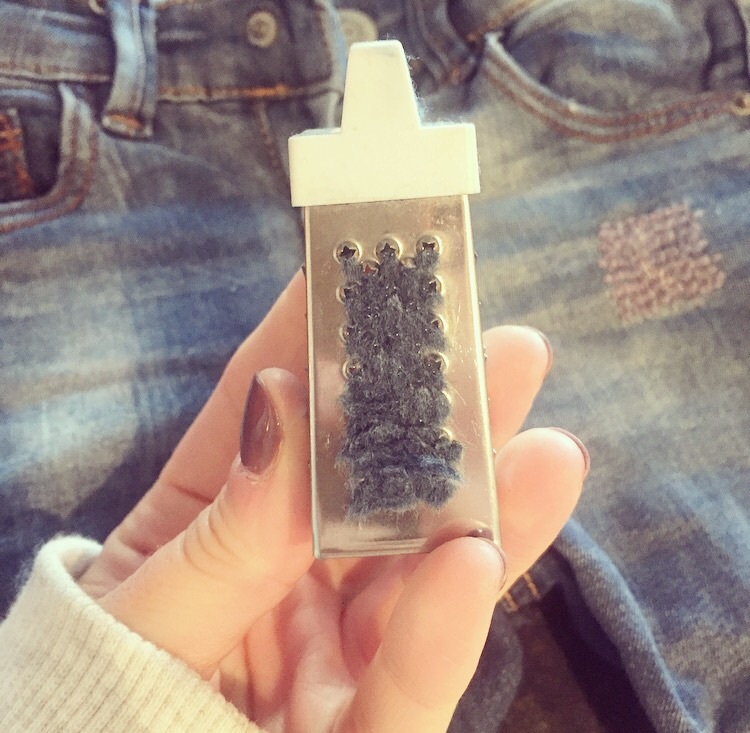 Don't forget to pull off the removed denim from your grater every so often. This will allow for better results. 6. Work your way up, down, left, right, or wherever you feel. I wanted a larger distressed area on the left knee. 7. Again, I pulled the denim from above and below the distressed area until I got the size that I wanted. Below is a birds eye view of the finished product. It's more aesthetically pleasing to have an odd number of tattered areas. As well, I wanted a larger area on one leg, and two small ones on the other. You can basically do whatever you like! There's no wrong way to do this. 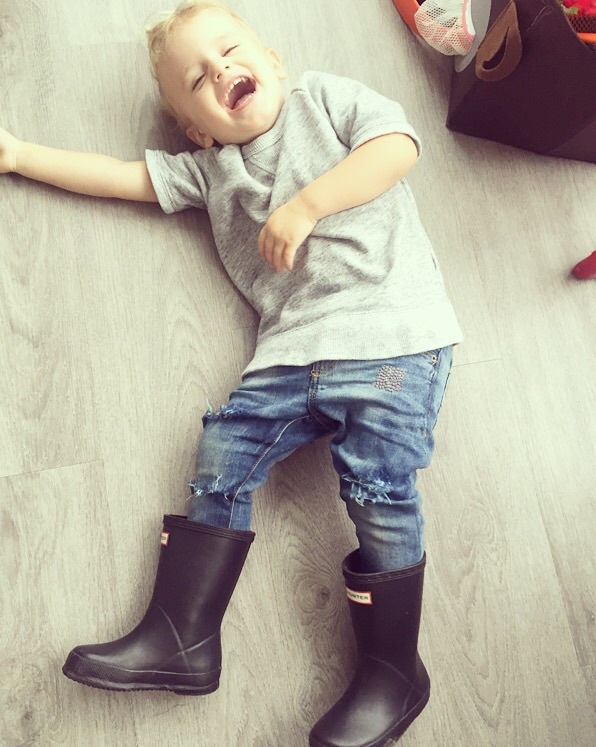 Here's Hudson sporting the finished product with his favourite boots. What's old is new again. 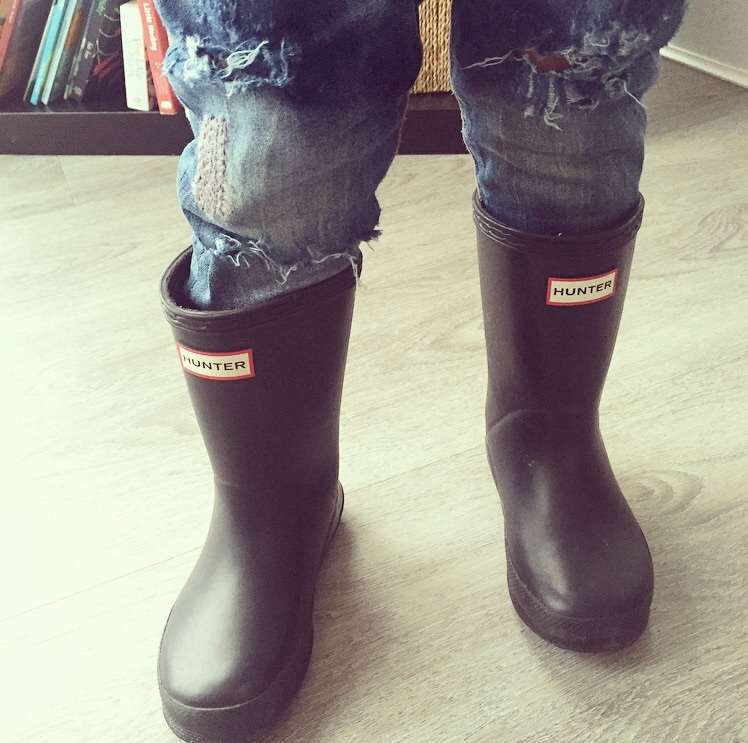 Time to play in my new denims! Hopefully I encouraged you to try this yourself! Take some photos of your finished product and tag me #child_ish_fashion so that I can see and share.